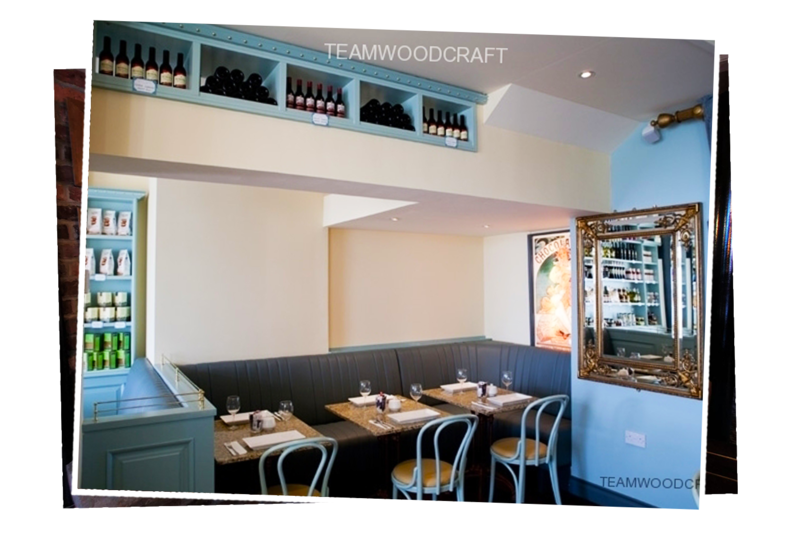 Teamwoodcraft joinery cafe and restaurant fit outs are something very special. We create unique customer experiences and atmosphere through our work. This translates into more customers and more sales for our clients. 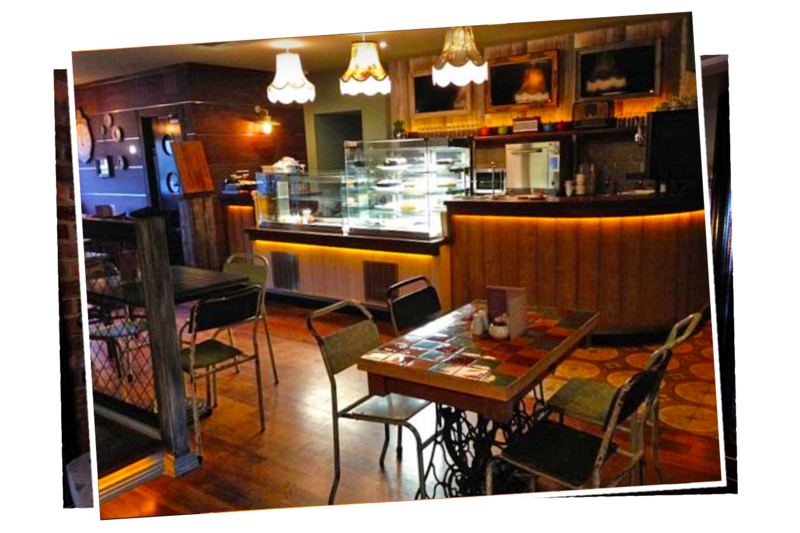 Mary T’s Cafe Bar is a retro cafe style. This design taps into the current style trend for upcycling and vintage looks. 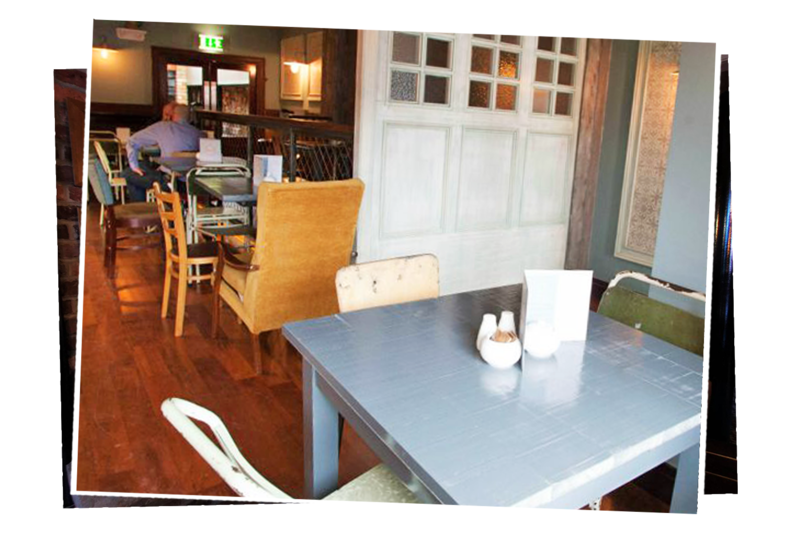 It creates a cosy, relaxed atmosphere where clients tend to stay longer. The use of light colours on the joinery (i.e. partitions) creates light and space whilst providing privacy for the clientele. The mish mash of furniture adds to the creative vibe. Even the picture frames are colour co-ordinated. 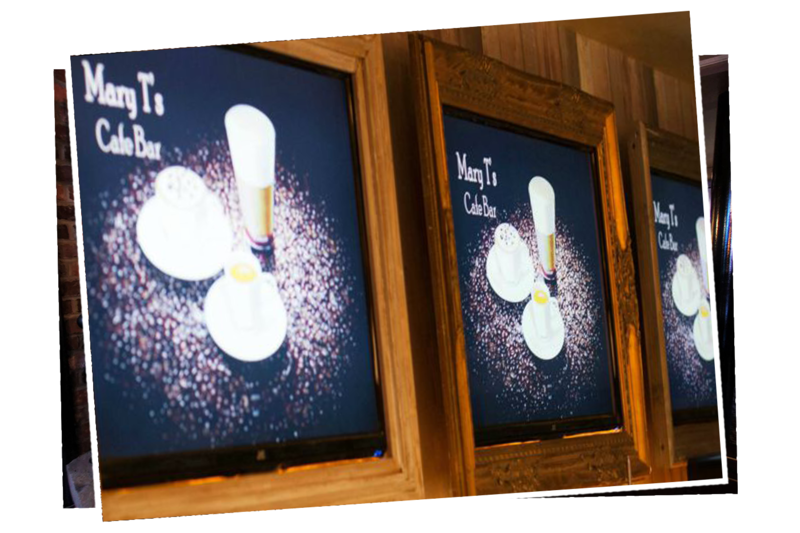 Displaying items in odd numbers creates a more stylistic display whilst keeping the brand in the customers mind. 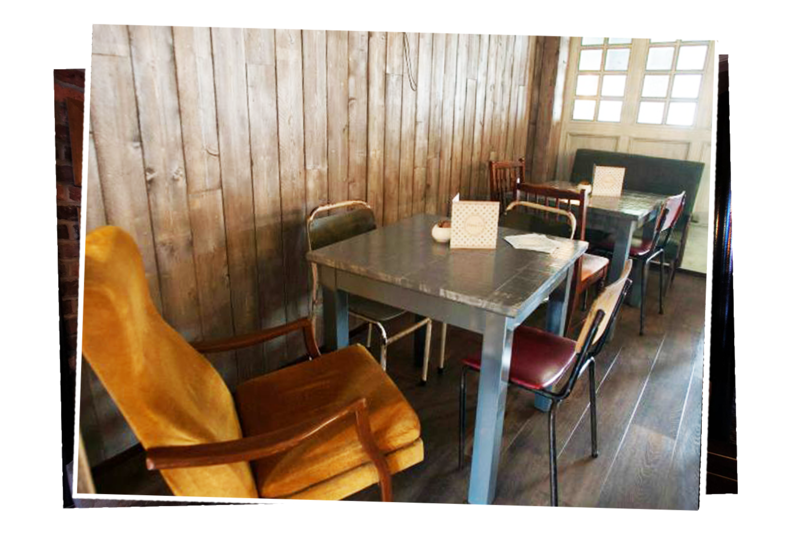 The furniture and wall paneling create a feeling of nostalgia at the venue. Unusual display items add to the quirkiness, perfect for a music venue. The mixed styles of wall paneling create a unique, hip and artistic vibe adding to the atmosphere. The painted partitions add light and ambience. The utilitarian style tables give a nod to the Bauhaus movement with a lounge chair added to encourage customers to linger. 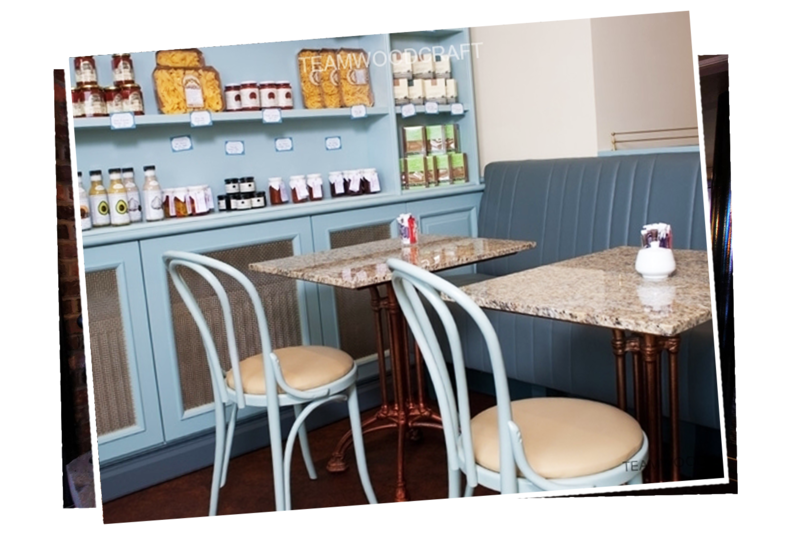 The industrial style chairs encourage customers to lean in and interact. 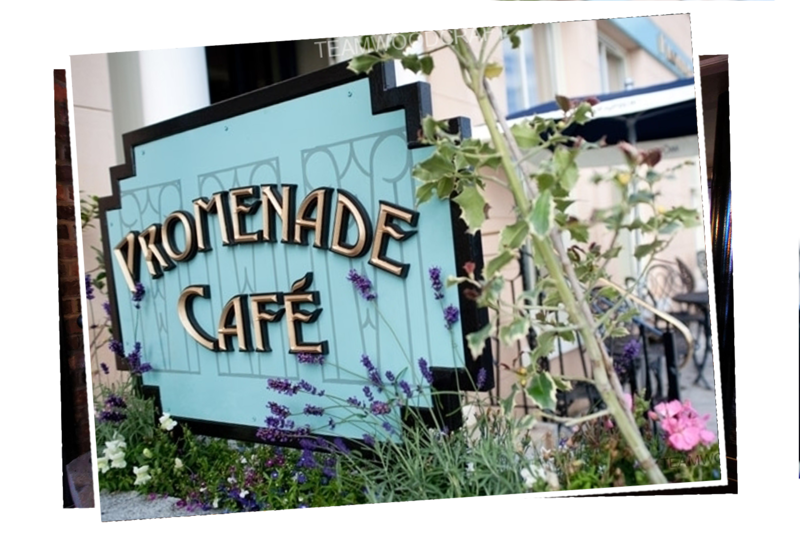 The colour scheme for the Promenade Cafe in Dun Laoghaire adds a seaside vibe to the venue, perfect for its seaside location. The product display units allow the products to be shown to their best advantage. 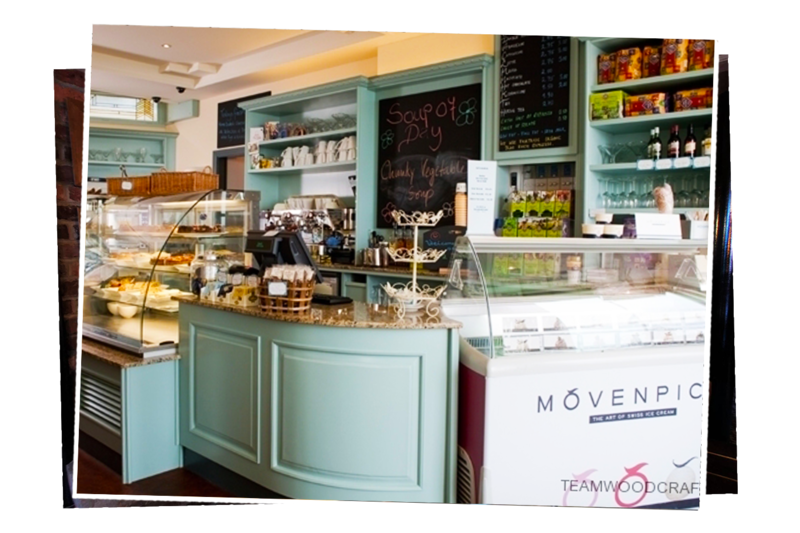 This is a small space so the product display units had to be carefully constructed to encourage sales but also allow for customer comfort when moving through the premises. The radiators were covered with cabinets so as not to detract from the overall design. This allowed for more product display up above, maximizing retail space. 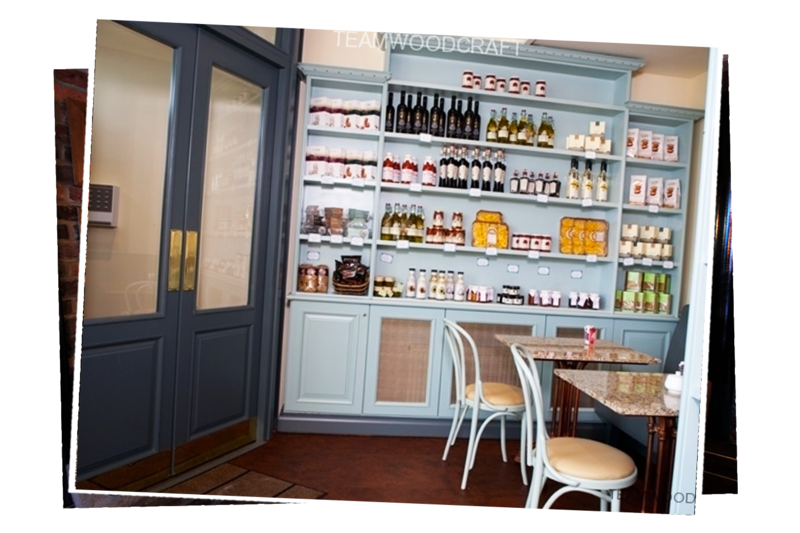 Every space in the small building was maximised to allow for product placement and sales opportunities. The doors were painted in tones of the main joinery paintwork. The entrance to the Promenade is enhanced with art deco inspired signage which draws the eye into the building. 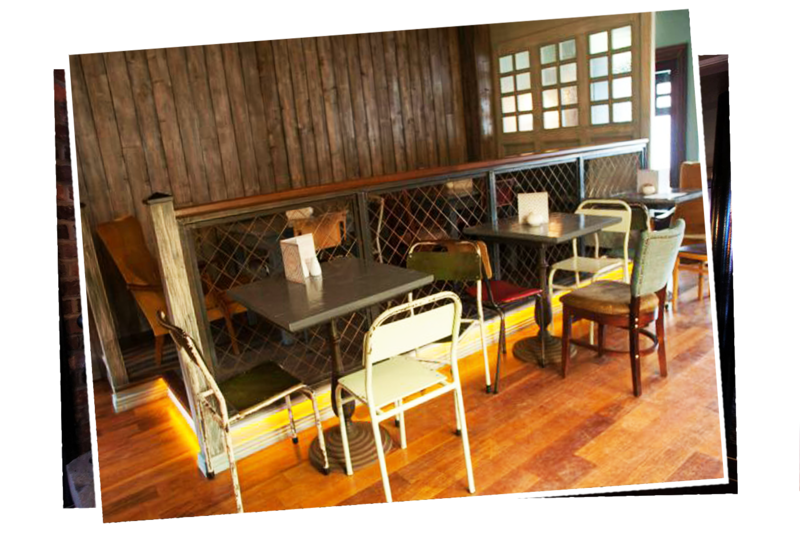 We constructed the fitted seating booths to increase customer seating availability, whilst low partitions create a feeling of privacy. They also maximise the space whilst still dividing up the room.